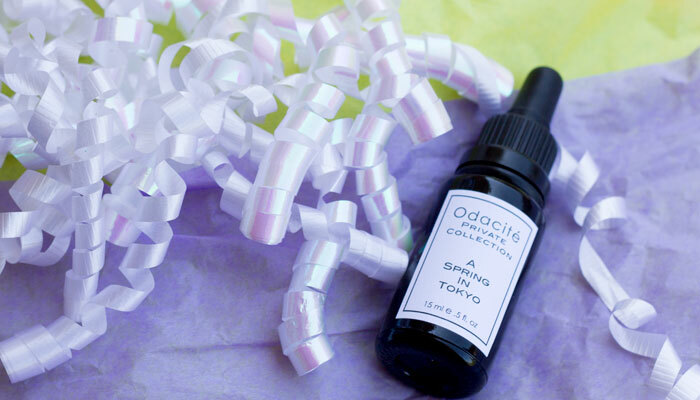 When life hands you lemons, I hope they smell as cheerful and complex as Odacite’s “A Spring in Tokyo” face oil. Bursting with citrus goodness thanks to lemon verbena, pink grapefruit oil and palmarosa oil, Odacite’s “A Spring in Tokyo” is designed to detoxify and revive tired, persnickety skin. Founder Valerie Grandury originally created this happy face oil for a Japanese kabuki actress who was suffering from premature wrinkles, loss of firmness and breakouts that came along with the heavy makeup and long hours her career demanded of her body. To help protect the actress’ precious skin, Valerie sought some of the rarest and most beautiful oils in the world and combined them with brightening and mood-boosting oils to make the process of applying a facial oil simply exhilarating. Seriously, you can’t smell Odacite’s “A Spring in Tokyo” and not feel uplifted. It’s that peppy. We’re seeing beautiful Sacha Inchi oil pop up more and more in the green beauty world. It’s known for its ability to protect the skin thanks to remarkable antioxidant properties. Camellia oil is another biggie that a lot of us are loving lately. It’s rich in vitamins and antioxidants as well, and offers a smooth, non-greasy feeling as a major carrier oil. What got my attention with Odacite’s “A Spring in Tokyo” (besides the amazing smell!) is the inclusion of rare pitanga leaf oil as ingredient No. 3. Pitanga leaf oil is rich in alpha hydroxy acids, which can improve the appearance of acne scars and discoloration. It’s also known for its natural astingent properties, making it a perfect addition to an oil targeted to blemish-prone skin. 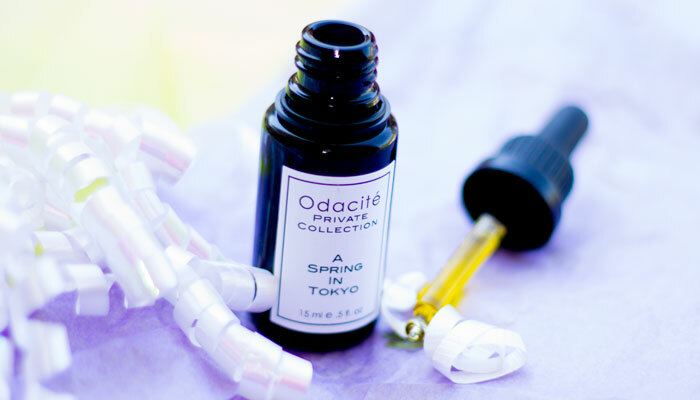 Other oils great for blemish-prone skin that are included in Odacite’s “A Spring in Tokyo” are tamanu, hazelnut and jojoba. Basically, this is a potent facial oil for the blemish-prone — but it does take a while to see results. 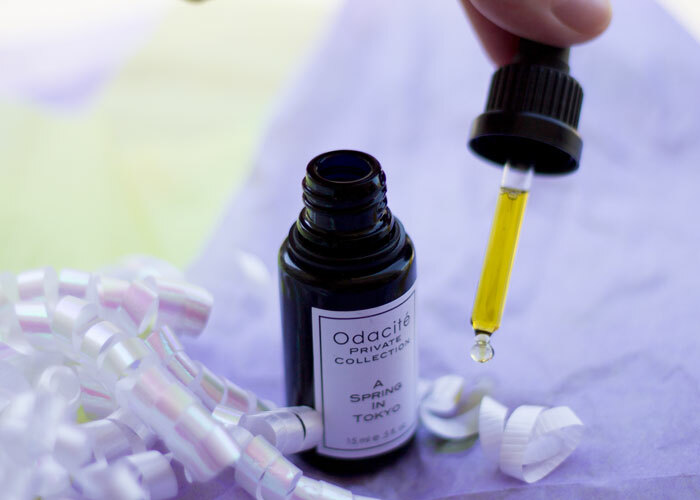 I used Odacite’s “A Spring in Tokyo” every night for four weeks (my typical facial oil testing time), and while I still broke out during those 28 days, my skin did appear a bit brighter and I noticed a slight lightening of a few acne-scarred areas. While the results were not drastic, I think that with continued nightly use, it could show some great results. But oh, the life of a green beauty blogger — always on to the next product to test. Odacite mentions that this oil layers beautifully under makeup, but with the inclusion of those wonderful-smelling citrus oils, I’d be cautious and either 1) use only at night or 2) use SPF 30+ to protect your skin from photosensitivity. And while I’ve raved about the scent of this lightweight facial oil, one thing that does feel strange when using it just at night is … well … at night, I want to wind down and not be all pepped up with citrus. You can tone it down by mixing it with a bit more jojoba oil if you have it on hand, or you can train yourself to not get as revved up by lemon verbena (good uck with that!). Overall, “A Spring in Tokyo” is a winner, but it’s not a cure-all for breakouts. Don’t buy this if you’re looking for a spot treatment; this is more of a long-haul, complexion-healing face oil that you’ll need to use consistently over time to truly see drastic improvements. In a short time (like my four-week trial), you may notice a difference in the evenness of your complexion; the slight lightening of scars; the texture of your skin (soft! ); and your attitude while applying it. “A Spring in Tokyo,” you’re definitely my “happy oil” after a late night of blogging. Have you tried anything from Odacite? What do you look for in an oil for aging, blemish-prone skin? Tell me in the comments section!